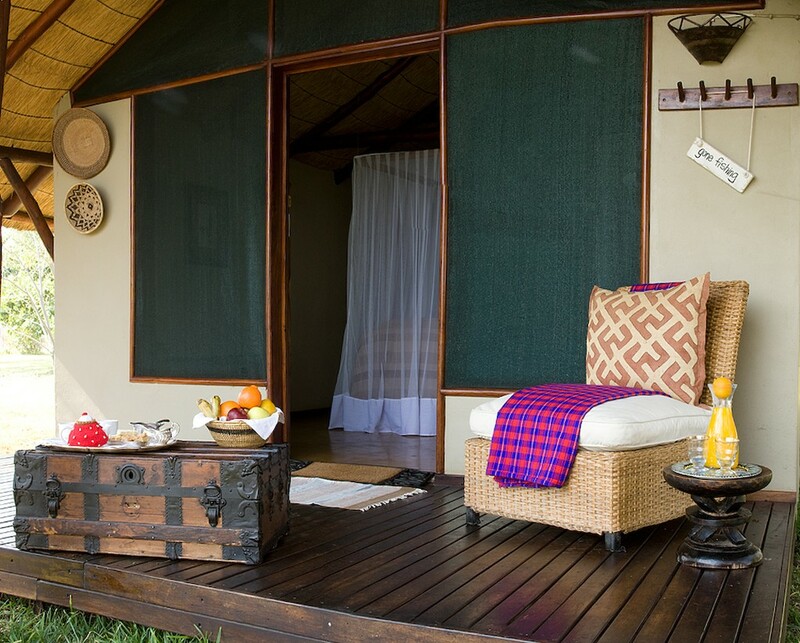 Shackletons accommodates 12 people in 6 thatched, en-suite chalets with private teak decks overlooking the magnificent Zambezi River. 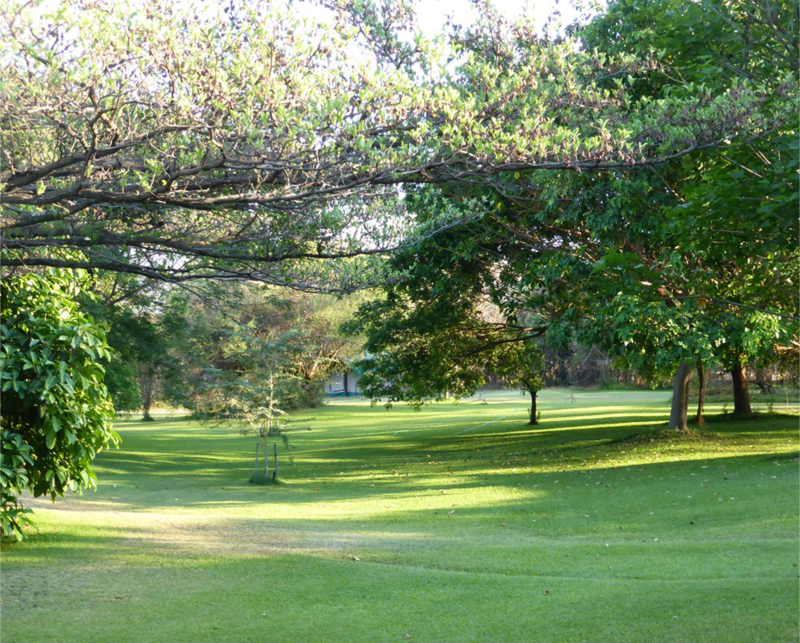 Enjoy our delicious home-cooked food in the open dining room or under the stars on the lawn overlooking the pristine upper Zambezi River. 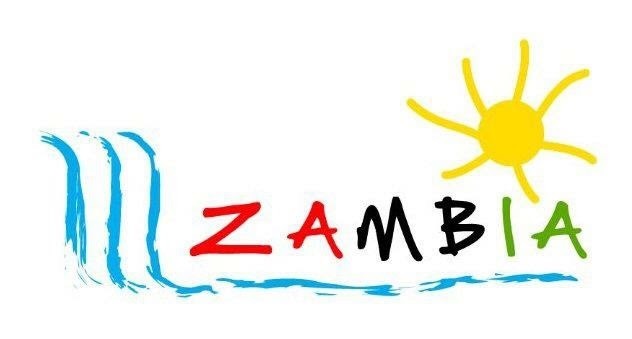 Enjoy drinks in our Van Togo bar swapping stories of the day’s battles won and lost with the ferocious ‘striped water dogs’ of the upper Zambezi River. 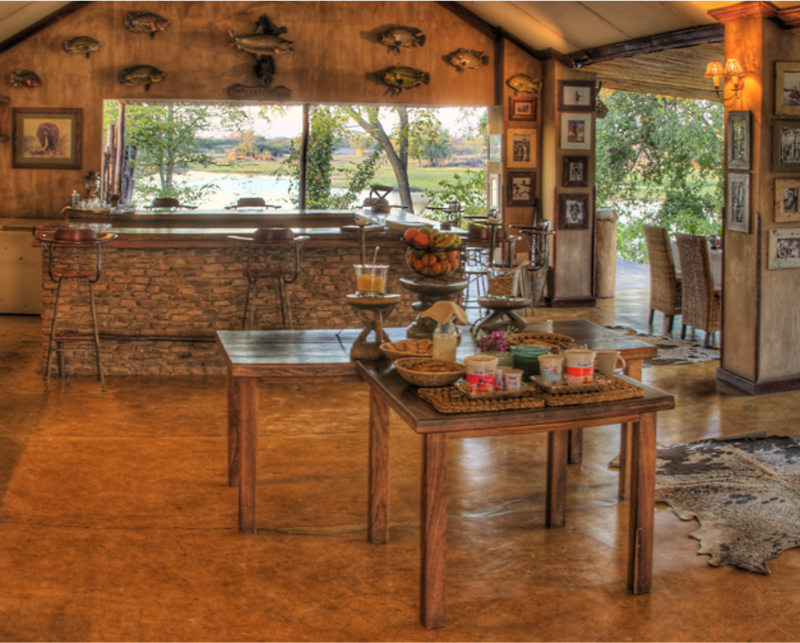 All the amenities at Shackletons are located on the banks of the magnificent Zambezi River, providing guests with unparalleled vistas of the river. 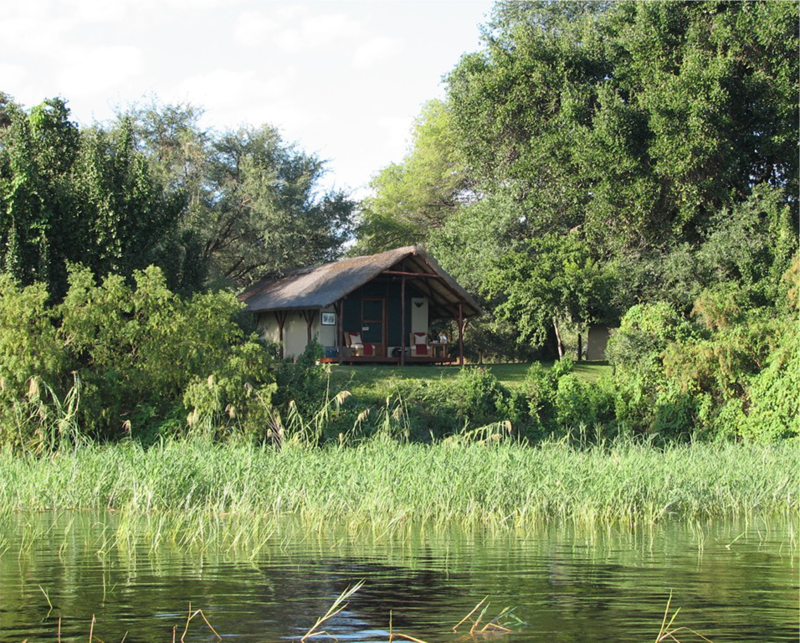 Shackletons Lodge is situated on the banks of the Zambezi in beautiful grounds with rolling lawns, a huge variety of magnificent trees and abundant birdlife. 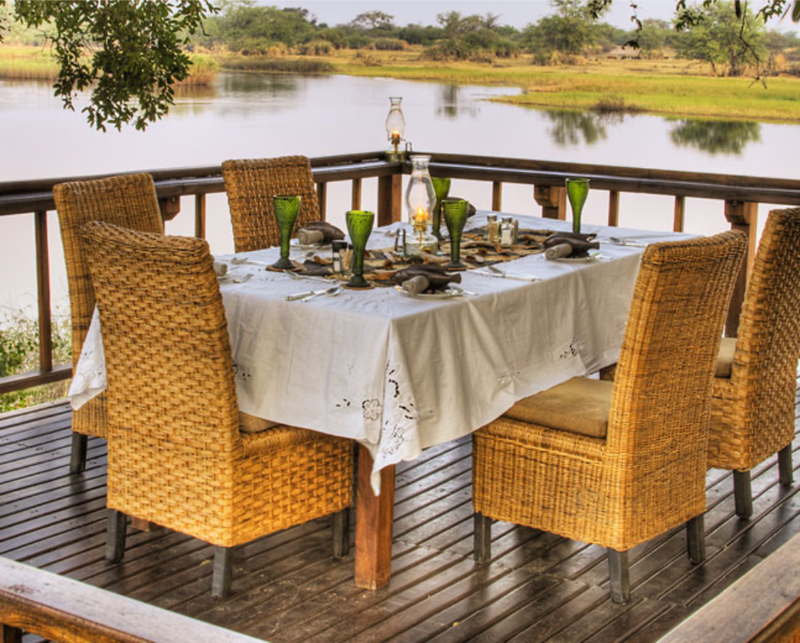 Enjoy pre-dinner drinks on the sun downer deck re-collecting the day’s events hunting Africa’s most spectacular and sought-after game fish. 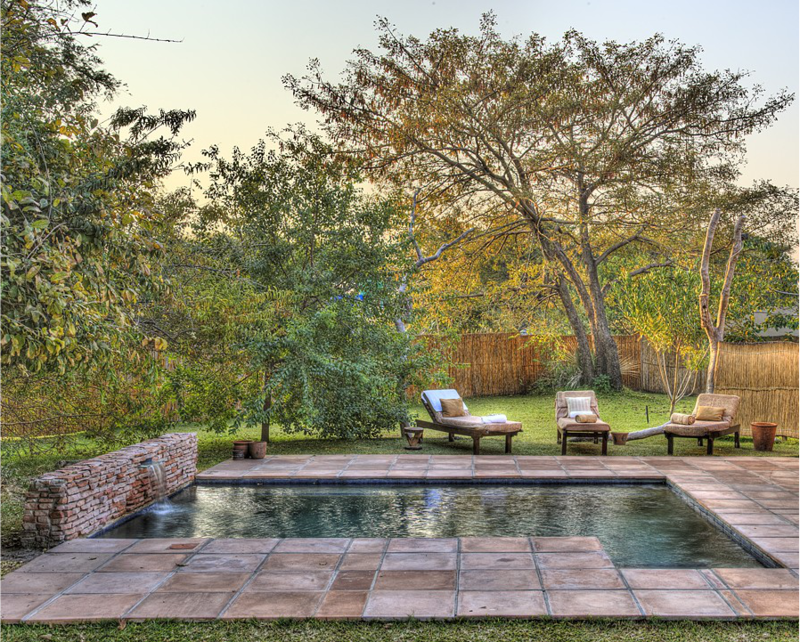 The swimming pool, located on the banks of the river, provides welcome relief after a hard day catching and boating the fearless tiger fish. 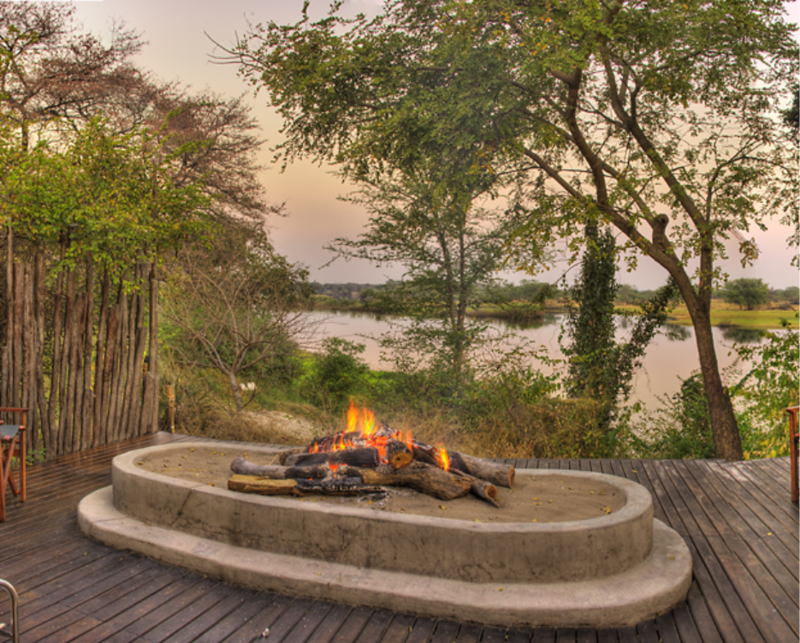 Sit around the river-side fire pit after dinner sipping a night cap or a cup of coffee and discussing tactics for the next morning’s tiger fishing adventure. 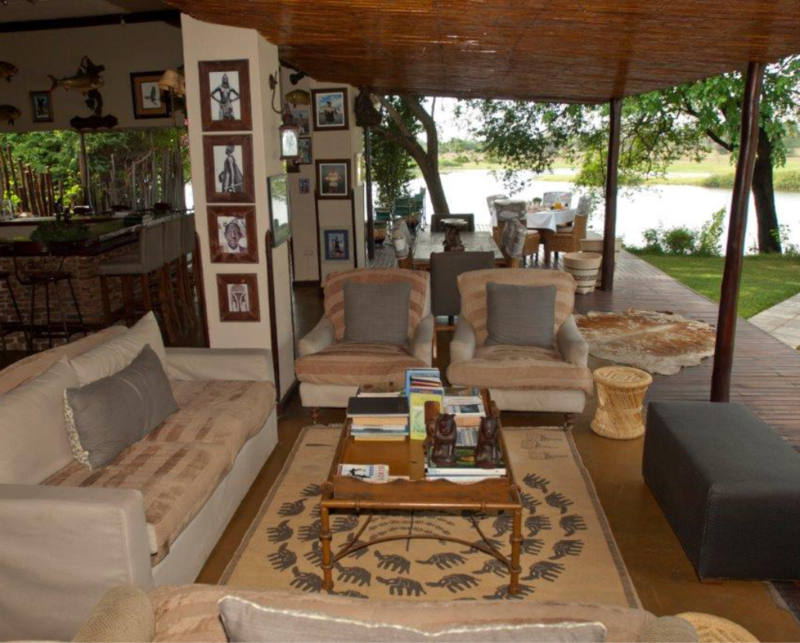 Enjoy a quiet cup of tea or coffee in the riverside lounge or catch up on some of the early Zambezi River adventures from books in our library. 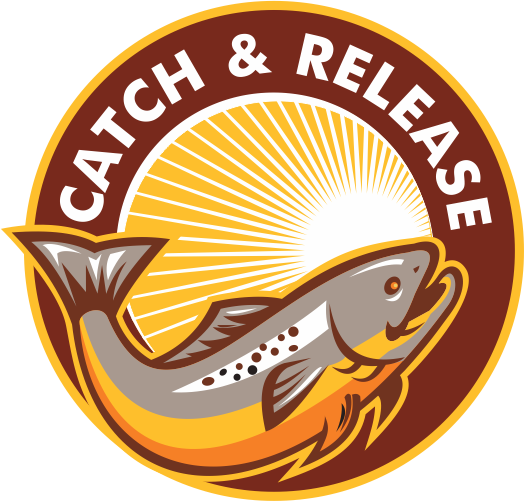 © 2018 Shackletons Tiger Fishing Lodge. 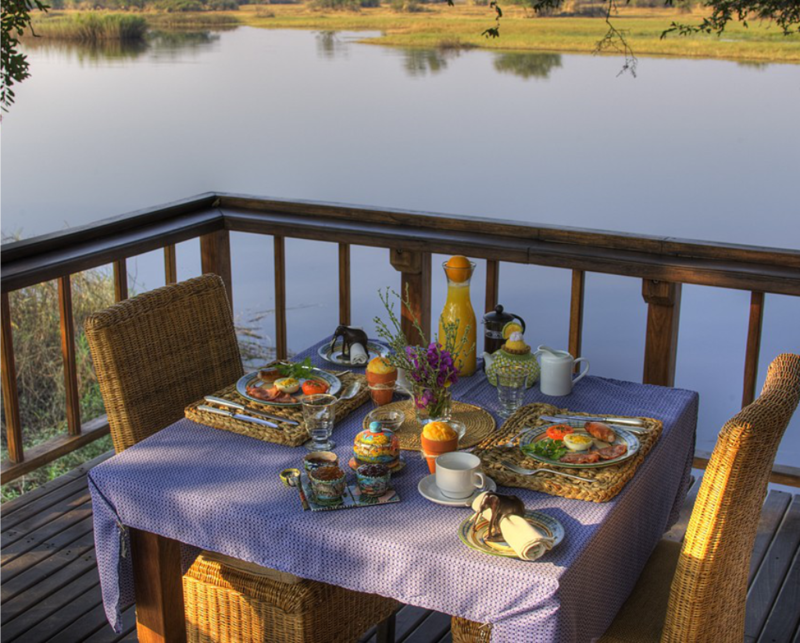 All Rights Reserved | Developed by Shakeltons Tiger Fishing.